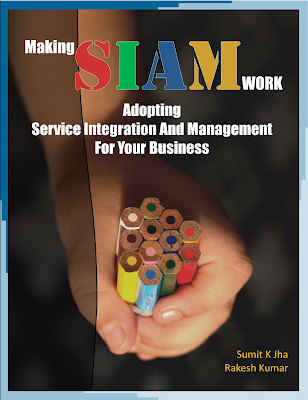 Making SIAM Work: "Making SIAM Work: Adopting Service Integration And Management For Your Business" is NOW available!!! 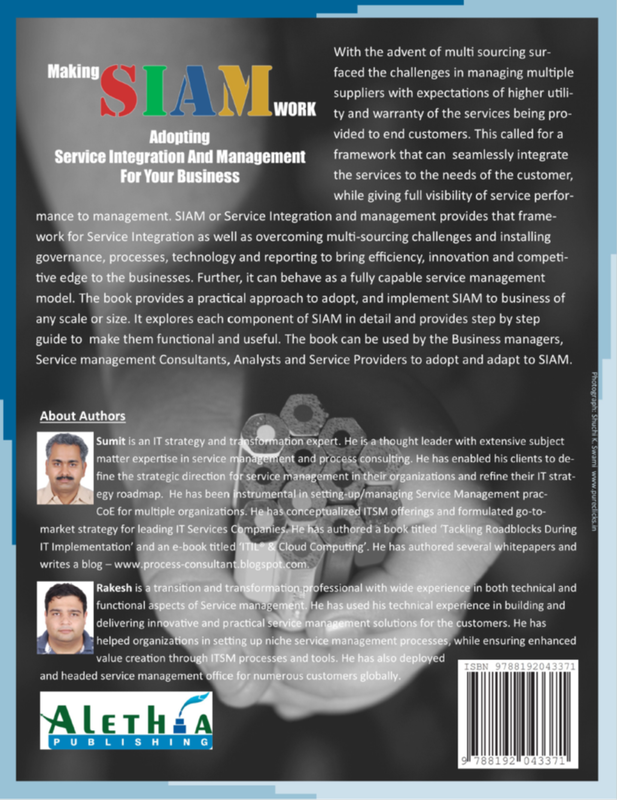 "Making SIAM Work: Adopting Service Integration And Management For Your Business" is NOW available!!! This book provides explanation about the concepts of Service Integration and Management (SIAM) using a mechanical fluid-pump analogy. It provides a model which would effectively and successfully make SIAM work for your business, providing a clear step-by-step solution for adopting and implementing SIAM. It highlights the prerequisites and outputs that would enable organizations to use SIAM in achieving desired outcomes. Next in series is the catalyst for enabling your SIAM process implementation to be successful... Making SIAM Work - The Service Integration And Management Process Framework. The objective of this book is to help the Business Owners, Consultants and Service Management Professionals design the processes for SIAM and address the intricacies of business service integration as well as multi-supplier integration and management. 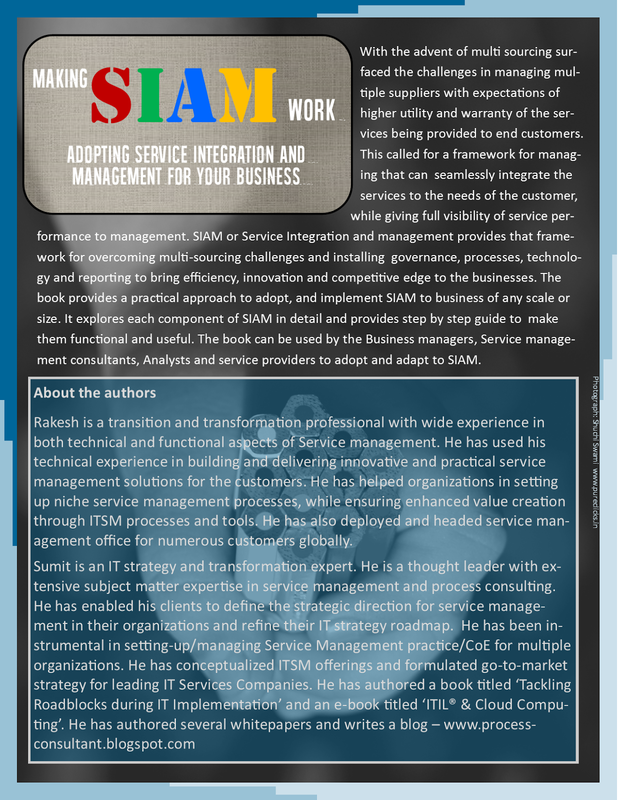 This book would be supplementary to Making SIAM Work - Adopting Service Integration And Management For Your Business. This book will provide detailed guidance on all SIAM process framework processes as introduced in the first title. Copyright © 2015 by Sumit K. Jha and Rakesh Kumar.. Picture Window theme. Powered by Blogger.